Modbus RTU is a famous layer 2 fieldbus protocol used in wide range of applications since the mid 80’s and it has its encapsulation in a Ethernet frame, on TCP/IP protocol of layer 4 – 3 of OSI model. It can be used on Ethernet networks though a logic IP address, Modbus TCP uses the same function codes of RTU. The main advantage is that it is faster and can be used to send or receive data through any Ethernet device such as switches and routers in different topologies like star, tree or other line topologies using TCP/UDP/IP protocols in Layer 3-4. It can be installed in Standard 10, 100 or 1000 Mbit/s Ethernet technology based on copper cables, fiber optics or wireless standards can be used. Number of stations is almost infinite and it can go up to a speed of 1.5 Kbyte per telegram frame. This week we would like to show you two new function blocks (FB) that we have developed to make even easier to use Delta Industrial Automation products. Usually we need to control several AC drives from a single Master PLC and Modbus communication is a cheap and helpful way to get it. COM2_VFDLINK: Configures the communication parameters (baudrate, number of bits, parity,…) that all the nodes on the network have to share and informs about the communication state of each node. DELTA_VFD: Controls each one of the slaves VFD, we can Start/Stop, Forward/Reverse, frequency command and reset faults. On the other side, the FB informs us about the status of the drive, alarm code, output frequency and output current. Below you’ll find the FB library ready to be imported in your ISPSoft and a little pdf explaining the I/O of each FB, enjoy it! Probably some of you already know the PLC Link feature of our DVP series PLCs, it allows us to easily exchange data between the master PLC and several slaves saving a lot of programming time. Slaves can be PLC, drives, temperature controller and, in general, any equipment that includes and RS485 Modbus port. Read up to 50 words (16 bits variable) from each slave. Write up to 50 words (16 bits variable) to each slave. Today I would like to show you how our PLC DVP12SE (Link) is able to overcome this limitations and increase the number of slaves and the number of data to be exchanged. Communicate with up to 32 slaves. Read up to 100 words (16 bits variable) from each slave. Write up to 100 words (16 bits variable) to each slave. Let’s take as an example an application where we want to communicate with first slave (ID1) and a second one over the 16 standard slaves, the 20th (ID20) for instance, at the end of this post you’ll find the example programs to be downloaded on the Master and in the two slaves. 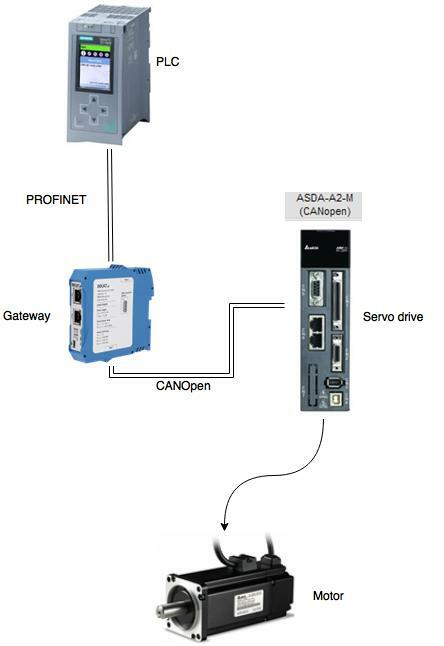 First of all, we have to be sure that the communication parameters are the same on all the nodes connected to the Modbus (ASCII/RTU, baudrate, data bits, parity,stop bits) and also that all have a different node number. In order to configure the PLC Link there’s no need to program complex polling structures nor keeping into account communication timeouts or errors in order to resend Modbus messages, you only need to fill a few special registers with the right values in order to indicate to the PLC which nodes you want to communicate and which registers of these slaves nodes you want to read/write. Master PLC reads D0~D49 (50 words) on PLC ID1 and stores the data on D100~D149 of his internal memory. Master PLC reads D0~D49 (50 words) on PLC ID20 and stores the data on D150~D199 of his internal memory. Master PLC writes the values of his D200~D249 (50 words) on registers D100~D149 of the PLC ID1. Master PLC writes the values of his D200~D249 (50 words) on registers D100~D149 of the PLC ID20. Increments D200 and D249 (these values will be wrote on ID1 and ID20). On the slave’s side, we only have to configure the communication (ASCII/RTU, baudrate, data bits, parity, stop bits) and a different node number to each slave. Here you have the programs of the Master PLC and both Slaves and also a pdf where you can find which registers you have to configure in order to read/write each one of the 32 Slaves. Now you have seen all the required steps to configure a powerful data exchange between a Master PLC and up to 32 Modbus slaves with just a few program code lines, enjoy it! Happy new year 2013 for you all. We decide to start this new ear with a new chapter of the PLC-Link series, I hope you like it! As we see on the other chapters PLC to PLC and PLC to VFD, PLC Link is a method to easily communicate with Delta devices based on RS485 Modbus. Because we already did it PLC and VFD, today we´ll do it with Temperature controllers. Communication is RS485, so follow the twisted pairs recommendations when possible. Step 2 -> Set the number of register to be read/write (Check manual to understand the D1436 and D1452 special register meaning). 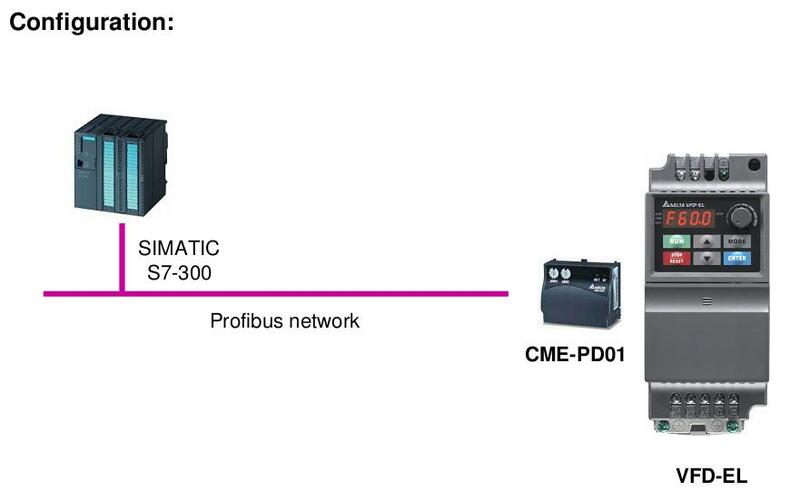 It’s well known that Profibus is quite extended within industrial enviroment. 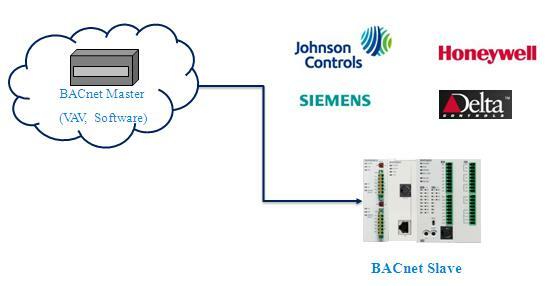 But this doesn’t mean that you need to use Siemens inverter when the fieldbus network is already setup! So, on the tutorial below you will find step by step, how to manage Simatic Step7 to be able to add Delta Inverter VFD-EL (with Profibus card CMA-PD01) into some profibus network. Probably you will need GDS file. Let us know If this information is important for you, and we’ll post the same for new inverters like C2000 or CP200. In a perfect world, all our customers should ask for Delta inverters in their machines. 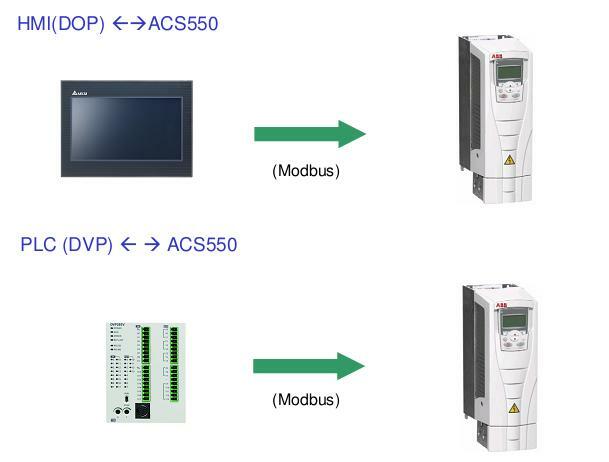 But because we have what we have, the post from today is to help you to communicate ABB ACS550 Inverter to Delta PLC or Delta HMI (via Modbus). And in the following link you will find this tutorial. Let us know you experience, and don’t hesitate to convince your customer to use Delta for the next machine!! Delta put things in order, and give the total ethernet solution with new launch of Delta Industrial Unmanaged Ethernet switches. 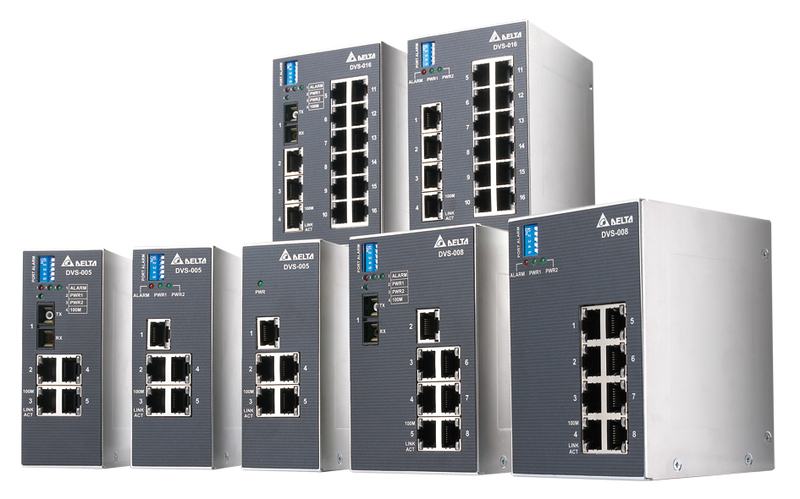 With the rise of industrial automation technology, Ethernet has become the most popular and widely used communication protocol. Based on Delta’s accumulated Ethernet communication experience and industrial know-how, the Delta Industrial Ethernet Solution helps customers build up an industrial Ethernet network that will satisfy their requirements in a wide range of applications. All of Delta’s Ethernet products are certified to UL, CE and FCC standards.